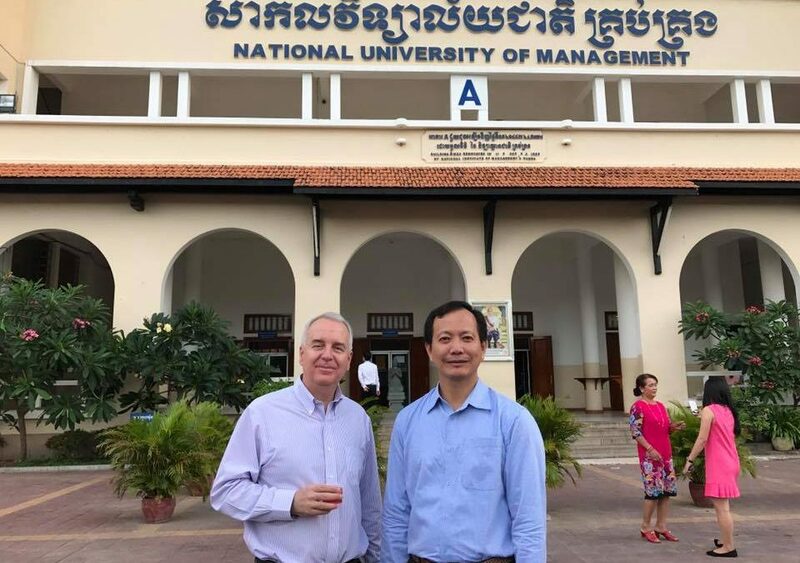 We interviewed Stephen Paterson from National University of Management (NUM) in Cambodia, about his perspectives on Higher Education Institution’s role in the society. We think that universities should be actively engaged in the society. As a Management University (e.g. Business School) in Phnom Penh, our focus is mostly engaging with the private sector, making sure that we offer programs which prepare students for the present and also emerging future economy. Entrepreneurship and Innovation are key priorities as they help foster a more creative and problem solving mindset among our university graduates which is essential for success in the 21st century global economy. For the last three years, our university has launched annual student based competitions which focus on solving social problems such as “The Clean and Green City” (2015), “Road Safety & Congestion” (2016) and “Food Safety” (2017). These competitions bring together students from diverse backgrounds (e.g. business, engineering, food science, law, etc.) with the goal of having them come up with innovative solutions to key social programs. The future of social innovation in Cambodia looks very bright. We hope to expand our network by connecting with other universities that are interested in social innovation. This will enable us to learn from their experience, while also sharing our success stories. I expect the SEASIN project will lead to new forms of cooperation across the region. Once university partners get to know each other better, I expect that many new cooperative initiatives will emerge in the near future. The launch of the Social Innovation Support Unit in November 2017. This will serve as both a training event space and an incubation center for social entrepreneurship and innovation. Find out more about NUM Social Innovation Lab’s partnership with Demine Robotics here. Universiti Teknologi Mara (UiTM) has been a fundamental platform for social innovation initiatives in Malaysia. Awarded as Entrepreneurial University for three years in a row, UiTM is set to shape societal and economic transformation in the country. With campuses across the country, UiTM has added values to act as a catalyst in an ongoing effort in community development through research and innovation. Recently, Invention, Innovation & Design Exposition (iidex) was organized as part of the university’s annual activities. The focus of iidex 2017 is aligned with the third thrust of the National Higher Education Strategic Plan which is Enhancing Research and Innovation. 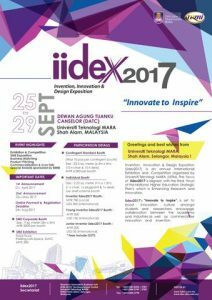 The iidex 2017’s theme, “Innovate to Inspire”, is set to boost innovative culture amongst students and researchers, encourage collaboration between academia and industries as well as commercialize innovation and invention. Apart from that, in response to the Higher Education Ministry, UiTM has chosen the month of October as the month of Entrepreneurship whereby entrepreneurial activities are held by different faculties and departments. The main aim is to showcase their involvement with the relevant industries and communities in entrepreneurial initiatives. Various exhibitions, competitions, and awards will be held. The entrepreneurial month is part of the initiative that highlights UiTM’s role as an agent of transformation. 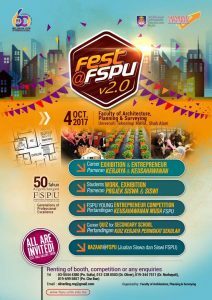 The Faculty of Architecture, Planning and Surveying would be the first faculty which will kick-off the Entrepreneurial Month as their festival is set to begin on the fourth of October. 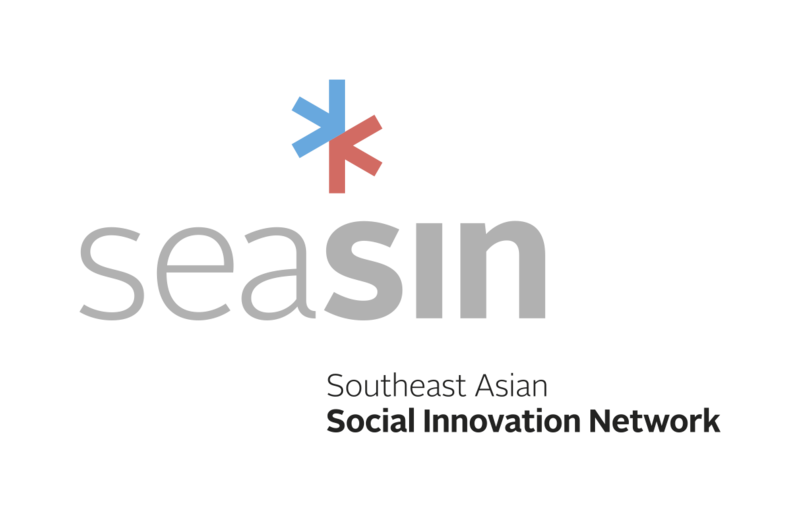 The involvement in SEASIN further strengthens the opportunities and platforms to be involved in and expand to a much bigger community at a higher level. The network set by the Social Innovation Support Unit (SISU) increases the chances for projects and researches to be known in their contribution for better communities.